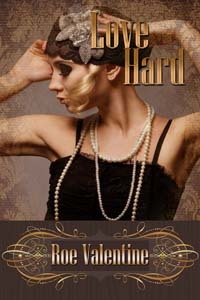 Ingrid Crawford isn’t the careless flapper everyone thinks she is. In fact, she’s carrying around a heavy load, thanks to her loose-fisted father who’s gambled the family fortune away. While moonlighting at the Tease, she meets a man who might get her out of her financial troubles for good. Jovanis Koulis is a Greek immigrant who works as a courier, but he strives for much more. While visiting a burlesque joint, he is hit by Cupid’s arrow in the worst way when he lays eyes on the Veiled Vixen. Though he doesn’t tell the fair lady who he really is, he lets her believe what she wants…until he meets her face-to-face days later and neither are who they thought they were. Will they be able to live up to each other’s expectations without finding themselves in hot water first? “And you lied to me, Vixen.” They stared, chests rising and falling with hard breaths. He didn’t care for her name calling. The heat of a hundred fires lashed his insides, eased up to his face until he had to wipe his sweating brow. “You said you were a businessman.” Her full pink lips remained thin somehow. Her body remained tense, shaking somewhat. “And you didn’t disagree.” She placed both hands on her hips. He followed the movement, taking in the curves of her suited body and remembered how luscious she was without clothes on. A twitch in his crotch jerked his eyes back to her blushing cheeks. He was being cruel, and he should stop. Or he should take her and kiss her like she needed to be kissed. Only his mouth would shut her up—he’d proved that the night before. Though, she might not be screaming his name there. “How dare you!” Her large eyes glossed over. Just as he was going to say something, apologize for being a brute, the elevator doors opened. Both sets of eyes turned to the empty vessel waiting for passengers to enter. One foot in and she grabbed him by the bicep. “We aren’t done.” Her gaze went to his mouth, lingered there in that split second that could have been a lifetime. To test her intention, he licked his bottom lip slowly. Sure enough, her stare moved with the motion, and her lips parted in time to release a small whimper. Something overcame him. The same something that overcame him last night to even be so bold with a woman. He pulled her into the elevator with him, pressing her back against the elevator wall just as the doors closed.